Join the conversation with MHX Field Staffer Alex Terescenko as he discusses his go-to bass rods and why their rod specs helped him win the ABA Tournament on Lake Okeechobee. MHX rod blanks are no stranger to tournament fishing, especially bass fishing events. 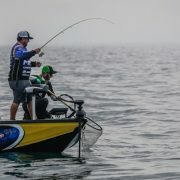 From the professional tours like FLW and Bassmaster, to more local tournaments, there’s a great chance that MHX is well represented up on the leaderboard. Whether pro staff or field staff, anglers all over the country look to MHX for world class rod blanks that dominate the competition in terms of sensitivity, durability, and of course, performance. When it comes to his two favorite spring time or really anytime bass rods, Alex would have to choose both his MB904-MHX rod and his MB874-MHX rod. Well for starters, these rods were instrumental in his recent ABA Tournament win on Lake Okeechobee. But the MHX Mag Taper Series is also nicknamed the workhorse series for a reason. 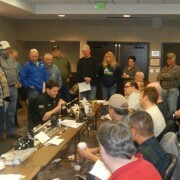 So let’s get more into the technical aspects that make the performance of these rods truly unbelievable on the water. Not only is the MB904-MHX his favorite rod blank, it’s also his go-to rod for fishing swim jigs all year long. The 7’6” length of the MB904 is paired with a fast action and heavy power that makes for an awesome swim jig rod. Also known as the Florida rod around Mud Hole, the MB904 is killer for fishing the grass lines and other heavy cover applications as well as a variety of lures. In addition to boosting casting distance, the extra length of this 7’6” rod can also help throw football jigs, spoons, and Carolina rigs, and catch serious results. Getting the lure there is half the battle and the MB904 is excellent once it comes time to fight in the second half. Swiftly setting hook and then, easily handling the biggest bites helps you hold up the trophy fish that you’ve always dreamed about. Check out the MB904-MHX rod at Mud Hole! Another favorite that’s never in the rod locker and always catching fish, is the MB874-MHX rod blank. Whether you just want shorter swim jig rod or demand a mean frogging rod, the MB874-MHX answers both calls with ease. The MB874-MHX blank is 7’3” so it’s 3 inches shorter than the MB904, but it also packs a similar fast action and heavy power. The fast action is excellent for casting into or around heavy cover and efficiently working lures to attract big bites and then, quickly set the hook. Once the hook is set and the fight is on, don’t back down because the heavy power of the MB874 definitely won’t. Hooking the big uglies that lurk in heavy cover and then packing the punch to fight them back to the boat, it’s no wonder this rod and its performance driven design are on every angler’s wish list. Excellent for popping frogs, swim jigs, and even throwing Big EZs, the MB874-MHX rod packs the performance to excel with each lure. Build your own MB874-MHX rod now! Although field staffer Alex Terescenko doesn’t bring up the MB843 by name in his recap video, folks who are familiar with the Mag Taper Series will likely add that blank to the list. The MB843-MHX isn’t good for one bass fishing application… It performs great in just about all of them! Considering the MB843-MHX rod blank is 7’0” in length with a fast action tip and medium-heavy power, it provides the perfect balance between sensitivity, leverage, durability, and strength. What does this mean on the water? This means the MB843-MHX is one of the most versatile rod blanks available. From top water, spinnerbaits and spooks, to Texas rigs, Carolina rigs, and many more, the MB843 brings the performance to best match each application. Not only is the MB843 rod blank one of the most versatile on the market, it’s the best-selling blank at Mud Hole Custom Tackle and that stat alone is pretty impressive. Build your own MB843-MHX rod to experience true performance! 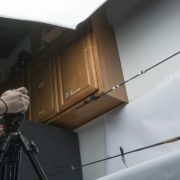 After he recently won the ABA Tournament on Lake Okeechobee, Alex Terescenko sat down on his boat to talk more about his winning rod blanks and even offer some rod building advice. Although he didn’t explicitly mention it, you can always tell an angler’s going to be dangerous in competition when his rods are color coded for lures. If you watch the video again, his frogging rod has an orange thread wrap just above the handle and then his swim jig rod has a chartreuse thread wrap instead. 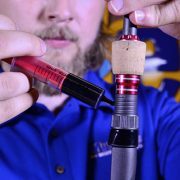 This helps him and other rod builders who use the similar practices, quickly identify and grab the best rod for the job. Now Alex did talk about the Purple Carbon Fiber Rod Skinz that coordinate his custom rod handles with his black and purple boat. Rod Skinz allow you to set yourself apart from the crowd while expressing your tastes, styles, or even wild side by wrapping your rod in a custom print of your choice. Best of all, Rod Skinz can be installed by just about anyone and do not require any expertise or special tools. Rod Skinz measure 3.25″ x 6″ OR 2.25″ x 6″ and are designed to be cut-to-fit. Designed with high-res imagery and printed on premium adhesive-backed cast vinyl, then sealed with a high-gloss laminate for easy installation. The result is a visually stunning and dynamic look on your rod. Easy enough for a beginner, yet unique enough for a pro, Rod Skinz truly gives your custom rod a feel that no other store-bought rod can offer. 1. Rod Skinz are easy to apply. 2. Rod Skinz look awesome. 3. Rod Skinz come in countless designs to suit your style. 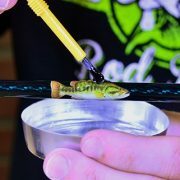 Find the right Rod Skinz for your custom fishing rods here! Now Build Your Own Mag Taper Bass Rod!